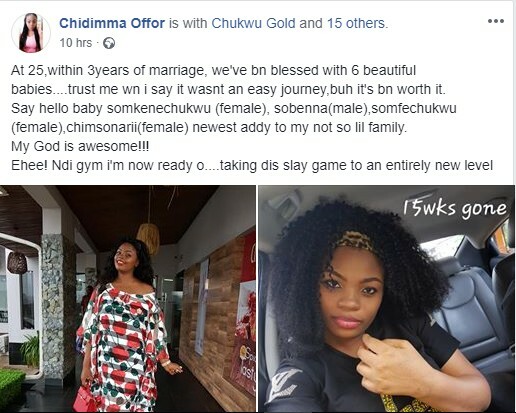 A young Nigerian lady has got herself making the rounds online after sharing her story of conceiving six babies within 3 years of marriage. 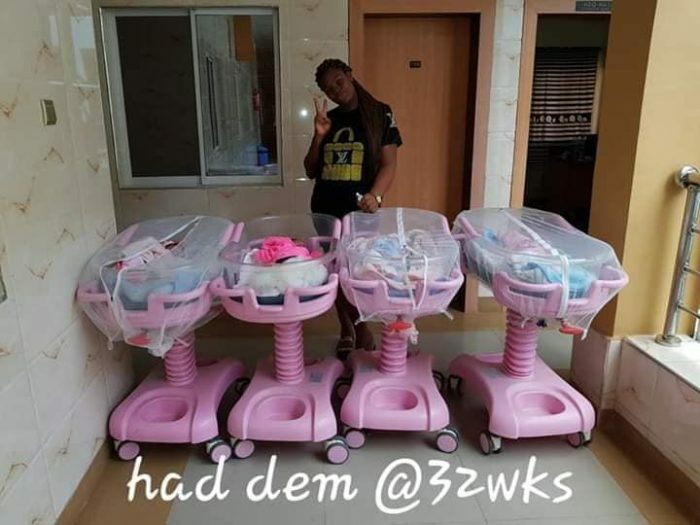 According to 25-year-old Chidimma Offor, who hails from Ekwulobia in Anambra state, the journey to the births of her children has not been an easy one but it’s been worth it for her. At 25, within 3 years of marriage, we’ve been blessed with 6 beautiful babies….trust me when I say it wasn’t an easy journey,buh it’s been worth it. Say hello baby Somkenechukwu (female), Sobenna(male), somfechukwu (female), chimsonarii (female), newest addy to my not so lil family.